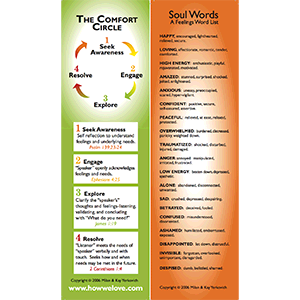 This handy, dual-sided bookmark reference outlines The Comfort Circle on one side and a list of helpful Soul Words on the other. This helps you convey your feelings in any conversation. Perfect for Perfect for handing out to friends, family, small groups, or counselees.